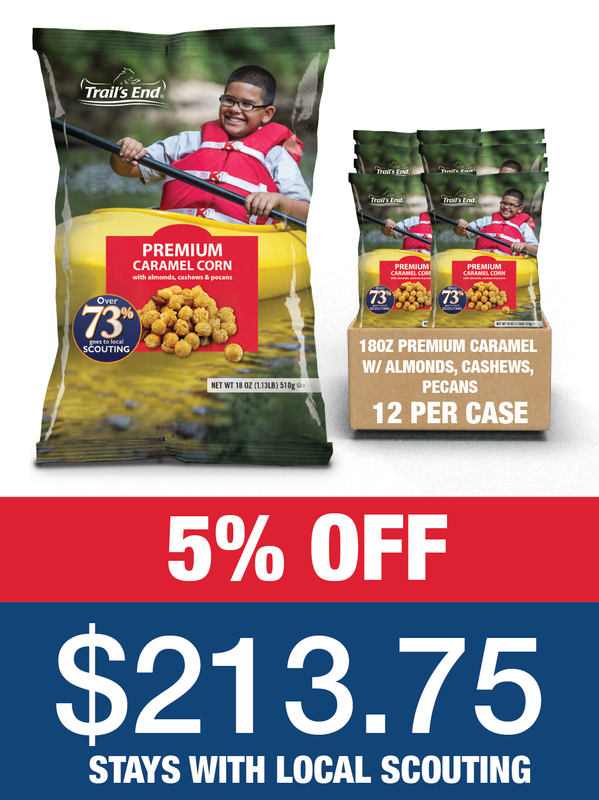 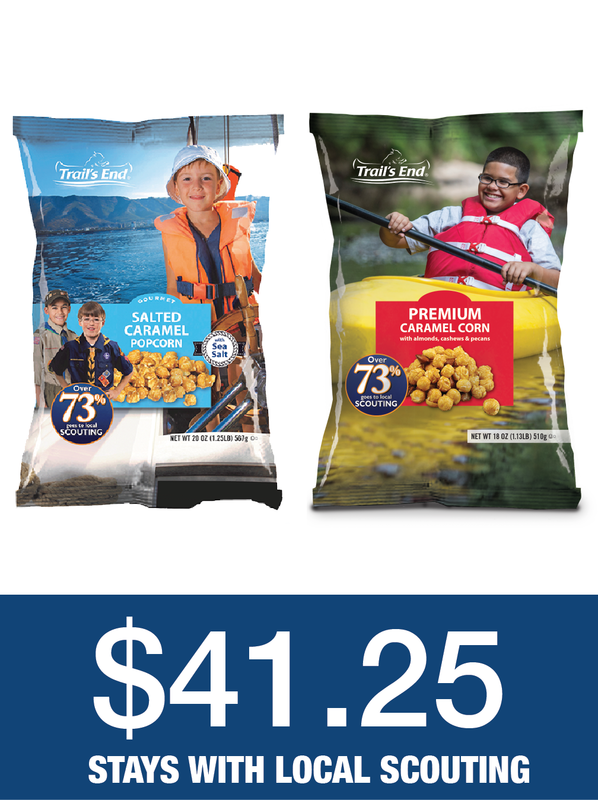 This Salted Caramel & Premium Caramel Corn with Nuts Bundle is a combo of our delicious caramel Scouting staples. 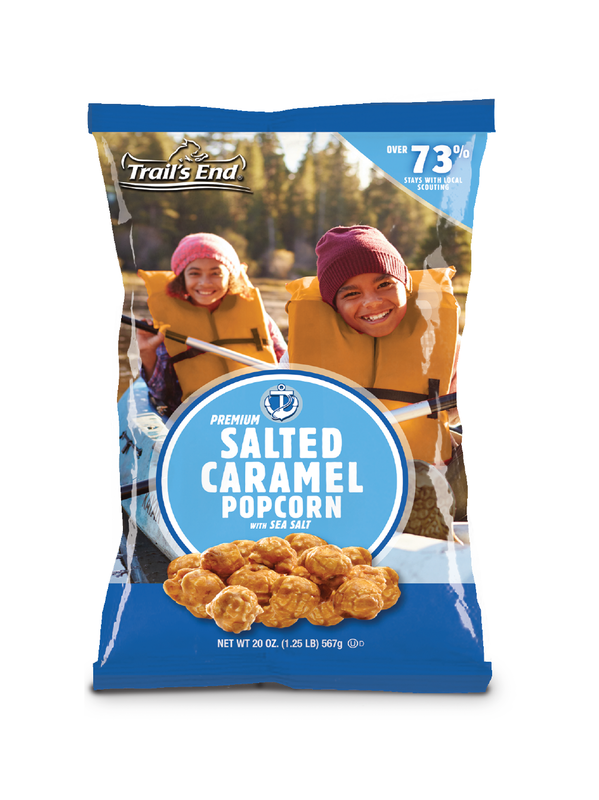 Expect each bag to be caramelized just right. 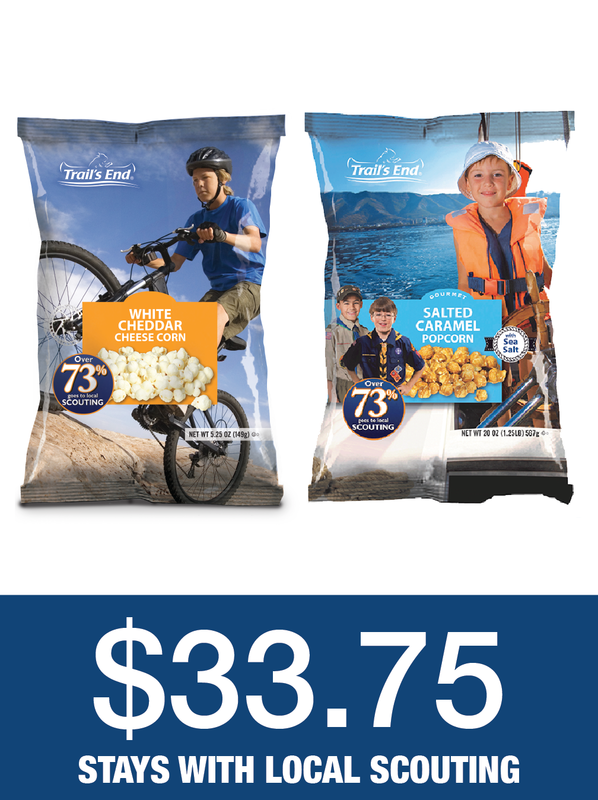 It includes one 20oz bag of Salted Caramel Popcorn and one 18oz bag of Premium Caramel Corn with Nuts.